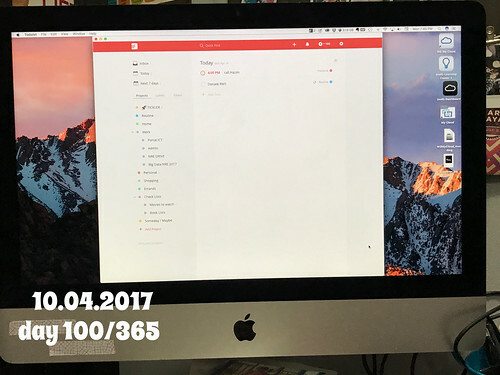 I discovered todoist app yesterday. I have so many do apps install on my phone that I don't really used that much. When I saw Carl Pullein's todoist series I got curious and wanted to give this app a try. Luckily this app has a free version that I can try. No surprise there that todoist company adopt subscription model to upgrade to Premium account. After playing around with this app for a day I can see how this app can really help with my productivity. The ability to access the content from multiple platform is really the key here. I decided to try this app for a month first and see how this app fit with my workflow before jumping into premium account.